I was unable to locate it thru my normal distributors. I'm glad I found it here. It arrived as promised. Will definitely shop here again. This item was a little hard to track down but I finally found it on RVPlus. I ordered it in the middle of the night and was contacted early the following morning informing me my item was ready as I chose in store pick up. The slide stop fit perfectly - the holes aligned with the original. It was an exact replacement for my original part. Service and part was great. I order the slide and handle from you after getting several different ones at other stores that would not work,but yours was the perfect match. 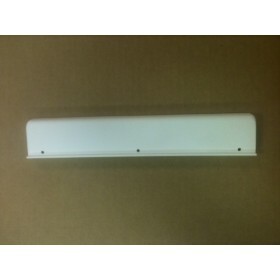 Perfect with door slide 302-027-WH which is an exact Amerimax replacement although the generic door slide picture may be confusing. 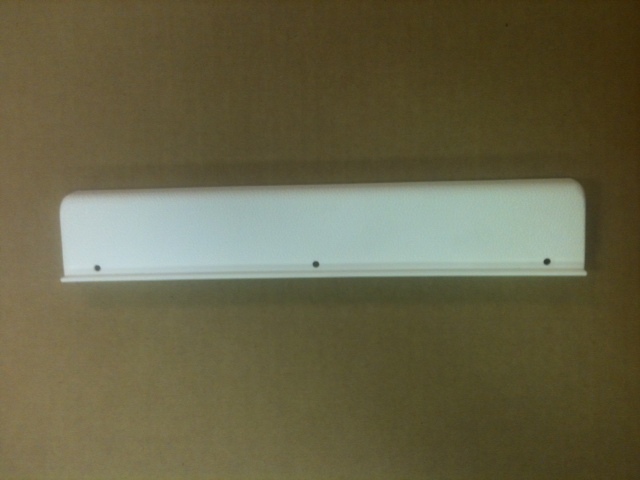 With tabs on top and bottom of the door slide, measures 12" x 12", even has the Amerimax circles. Maximize shipping by buying two of each. "Products arrived ahead of schedule and in good condition. Price was better than Amazon the second..."